I have read much about Kundalini in yoga. There are few yoga postures for awakening the kundalini. Without these yoga postures and without a guru, is it possible to get the experience of awakening of the kundalini? Yes, Kundalini can be aroused without the help of Guru also. The rousing of the Kundalini is the one and only way to attaining Divine Wisdom, superconscious perception, realisation of the spirit. The rousing may come in various ways, through love for God, through the mercy of perfected sages, or through the power of the analytic will of the philosopher. Swami Vivekananda has covered the topic of Kundalini in great detail which you can find in the above link. Whether it is possible with asanas and related practices? Yes it is technically possible. Some basic and advanced yogic methods can make Kundalini awakening or activation of chakra. It can also happen spontaneously due to something called shaktipaat which means grace. There are examples of people getting movements of energy and kundalini experience at some high energy place such as any siddha kshetra. Also during initiation by guru it can be spontaneously activated during diksha. However some asanas , mudrAs and bandhas are extremely useful in undertaking this sadhana. "Now I shall tell you the best means of attaining success in yoga. The practitioners must keep it secret. It is the inaccessible yoga. When the sleeping goddess kundalini is awakened through the grace of guru, then all the lotuses and the bonds are readily pierced through and through. Therefore, in order that the goddess, who is asleep in the mouth of brahmarandhra (the innermost hollow of sushumna) be awakened, the mudras should be practiced with the greatest care. Out of the many mudras, the following ten are best: mahamudra, mahabandha, mahabheda, khechari, jalandhara, moola bandha, vipareeta karani, uddiyana, vajroli and shakti chalini." MahAmudra and mahAbandha along with prAnayAma are excellent practice for kundalini yoga as told by maharshi Patanjali in his ashtanga yoga. When kundalini shakti is awakened and arises from her sleep, she is the vehicle for the expansion of consciousness, enabling the individual to fully develop his innate potential and rise beyond the mundane realm of birth and death to the level of divinity. Lastly I would say that there is a lot of uncertainty about Kundalini especially in the West and in India too where people are mostly talking about its dangers and warnings. However most of them haven't even taken up that practice nor have they seen people going mad due to kundalini yoga. Most of the cases are just hearsay. So do not get frightened or discouraged by such opinions. Definitively spiritual path is not easy it is full of challenges as one ventures into world of unknown. But this path is for the brave. As per Tantric tradition, women have an advantage when it comes to kundalini due to their anatomical and pranic build up. Hence require relatively less sadhana than men. Ashtanga yoga / kriya yoga are good ways to undertake kundalini yoga under a genuine master. It is usually impossible to achieve any form of success in Yoga without the Guru. Having seated in such a room and free from all anxieties, he should practise Yoga, as instructed by his Guru. Posture becoming established, a Yogî, master of himself, eating salutary and moderate food, should practise Prânâyâma, as instructed by his guru. He should practise mudrâs properly, as instructed by his guru. Then sitting with Padmâsana, he should hear anâhata nâda attentively. And the following verse, which clearly states that one needs the Guru's grace to activate the sleeping Kundalini. When the sleeping Kundalinî awakens by favour of a guru, then all the lotuses (in the six chakras or centres) and all the knots are pierced through. The whole of the nectar, possessing divine qualities, which exudes from the Soma (Chandra) is devoured by the Sûrya; and, owing to this, the body becomes old. To remedy this, the opening of the Sûrya is avoided by excellent means. It is to be learnt best by instructions from a guru; but not by even a million discussions. So, in short it is almost impossible to attain success in Kundali Yoga or the state of Samadhi without the Guru. Indifference to worldly enjoyments is very difficult to obtain, and equally difficult is the knowledge of the Realities to obtain. It is very difficult to get the condition of Samâdhi, without the favour of a true guru. Adding a couple of more verses from another Yogic treatise, the Shiva Samhita, where Lord Shiva says that knowledge of Yoga is useful only when it is imparted by the Guru. But, in certain exceptional cases it might be possible, if the disciple is carrying forward a lot of merits from the past lives and has already activated his/her Kundalini in the previous birth. But, in general a Guru is required. If you are retaining psycho-physical 'I' which is wrong identification of yourself by yourself, you need a mentor or guru whatever the word guru means otherwise it could become dangerous. If you are annihilating your entire ego masquerading as 'I' then Kundalini will be activated without doing anything and without any guru. For the 2nd point, from the book Be as you are. Q: How can one direct the prana or life-force into the sushumna nadi [a psychic nerve in the spine] so that the chit-jadagranthi [the identification of consciousness with the body] can be severed in the manner stated in Sri Ramana Gita? A: By enquiring `Who am I?' The yogi may be definitely aiming at rousing the kundalini and sending it up the sushumna. The jnani may not be having this as his object. But both achieve the same results, that of sending the life-force up the sushumna and severing the chit-jada-granthi. 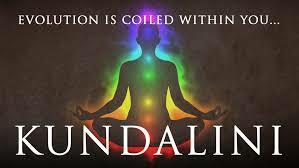 Kundalini is only another name for atma or Self or shakti. We talk of it as being inside the body, because we conceive ourselves as limited by this body. But it is in reality both inside and outside, being not different from Self or the shakti of Self. I tend to remember an occasion where Jiddu also told the same what Ramana Maharshi suggested - One doesn't need to be a part of all this paraphernalia, one can bypass all these practices and attain to the immeasurable. He told to a yogi who had got some psyche powers and intense concentration using intense practices but couldn't find the thing called Love/Reality. A Guru is necessary to have any spiritual experience. MR. CHOUDHURY: "Sir, is it not possible to have the vision of God without the help of a guru?" MASTER: "Satchidananda Himself is the Guru. At the end of the sava-sadhana, just when the vision of the Ishta is about to take place, the guru appears before the aspirant and says to him, 'Behold! There is your Ishta.' Saying this, the guru merges in the Ishta. He who is the guru is also the Ishta. The guru is the thread that leads to God. Women perform a ritualistic worship known as the 'Ananta-vrata', the object of worship being the Infinite. But actually the Deity worshipped is Vishnu. In Him are the 'infinite' forms of God. BRAHMO: "Is spiritual knowledge impossible without a guru?" MASTER: "Satchidananda alone is the Guru. If a man in the form of a guru awakens spiritual consciousness in you, then know for certain that it is God the Absolute who has assumed that human form for your sake. The guru is like a companion who leads you by the hand. After the realization of God, one loses the distinction between the guru and the disciple. 'That creates a very difficult situation; there the guru and the disciple do not see each other. '1 It was for this reason that Janaka said to Sukadeva, 'Give me first my teacher's fee if you want me to initiate you into the Knowledge of Brahman.' For the distinction between the teacher and the disciple ceases to exist after the disciple attains to Brahman. The relationship between them remains as long as the disciple does not see God." There is one important thing to remember about the idea of a Guru. No physical human being can really be a Guru. It is always Satchidananda who is the guru and no one else. If you do get spiritual experience through a human guru then you should realize that Satchidananda is acting through the human guru. Swami Vivekananda has explained Kundalini in his book Raja Yoga. "Awakening kundalini can be considered like lighting fire in Deepak. If you already have a lightened Deepak you can lighten another Deepak instantly. If you don't have lighted Deepak or source of fire, you should know how to create fire & have necessary resources for that. If you neither have fire or resources to ignite fire, nor you know how to find resources you can never start fire." Now relate example to your question, if you have Guru you can instantaneously get Kundalini awakening by grace of Guru via Shaktipaat. If you don't have Guru and have resources how to get awakening like Kriya Yoga, bhakti Yoga, Raj Yoga as explained in other Good answers, you can then also get awakening after intense practice & learning. If you neither have Guru & nor have other resource and also don't know how to get resources then things are very far. To deduct, in my simple understanding, having Guru is like a Guide in unknown terrain who can let you to destination with his prior knowledge of way & experience of same Journey. Journey without guide in unknown terrain is possible if you have map & how to read map but without Guide, map or know how to read map that will be very long & confusing journey as at each turn you will get confused where to go. I hope that helps since it removed my doubts too. Well it is possible but the route would be longer If you wanna feel awakening try to find about the procedures what to do if kundalini energy is too much and remember what you want to achieve by it just want to test or attain salivation the intent is important but that(salvation) is not possible in one life time. The best book in my knowledge is "vigyana bhairav tantra" which contain steps that awaken kundalini through breath control and hatha yoga pradipika for more experienced practitioner. The translated book is "112 Meditations for Self Realization" based on "vigyan bhairav tantra" written by many authors but ultimate authority is "swami Lakshmanjoo" and he is no more in this world but his disciples wrote some books. Now the guru part - if religion is not a constraint worship lord shiva and ask him to provide a guru in real life and to guide you as well as a guru not even in this life but in the coming life also, after all he is the creator of all the yoga and mantra. one important thing i forgot to mention there are various ways of awakening kundalini by breathe control(holistic approach is by 8 limbs of yoga),by worship of 10 mahavidyas or by worship of nav durga or by being a aghori in shamshaan/or by staying with family and doing worship but there are various ways and with sublime differences in the intent.you can even mix and match these paths to attain the desired results but that itself is another topic. refer the previous answers as well ;will give you a holistic understanding of the subject. good luck on your journey. Not the answer you're looking for? Browse other questions tagged yoga guru kundalini .